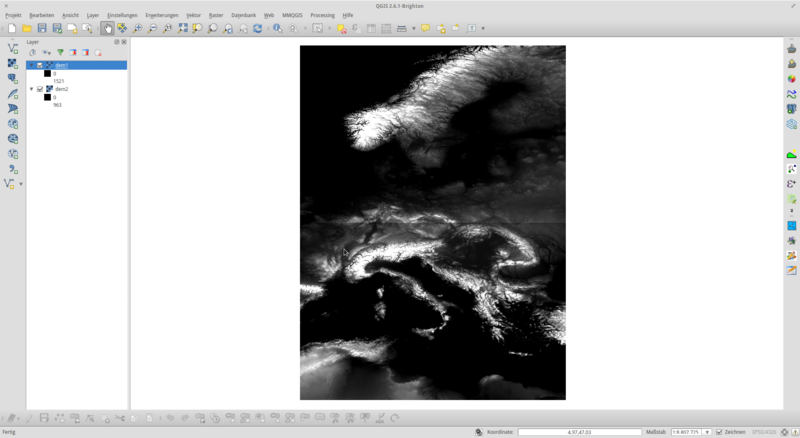 First of all, we need some raster layers. GDAL is capable of reading most of the common used remote sensing formats, so this should be no showstopper. Just load your data into QGIS. 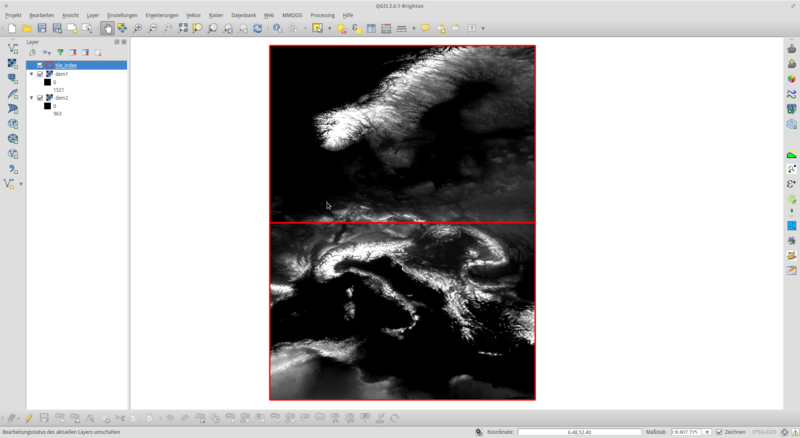 In the following screenshot, you can see two digital elevation model scenes. 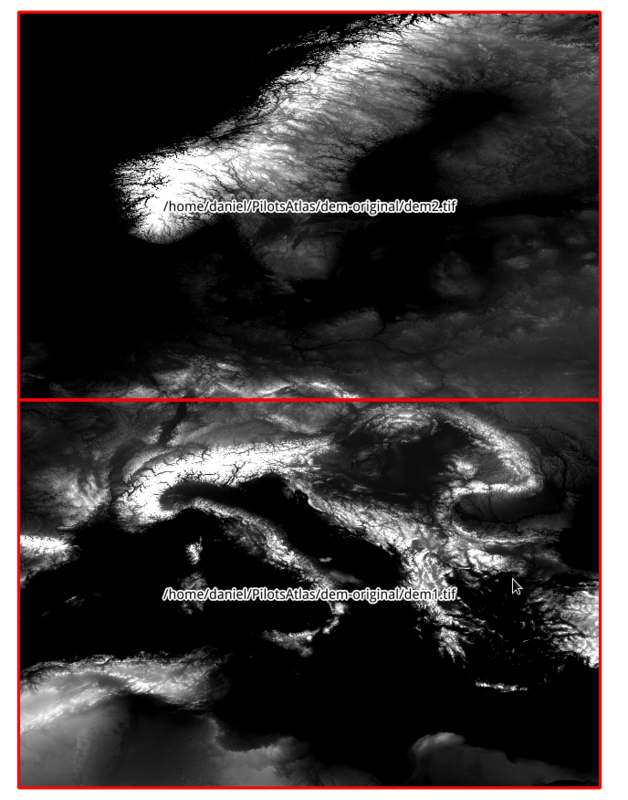 In the next step, go to “Raster” > “Miscellaneous” > “Tile Index”. 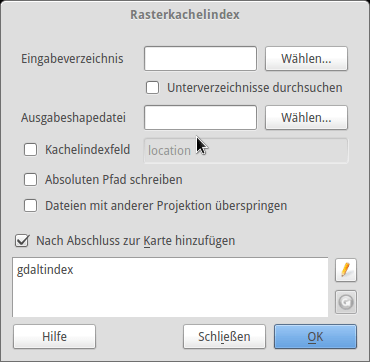 Opening GDALs Tile Index function. In the Tile Index menu, you can now choose an input directory and eventually subdirectories for GDAL to look for raster datasets. If you have your datasets across different folder on your filesystem, you can even index each of them sequentially by running the programm several times and choosing the same index file. If the index file already exists, GDAL appends the new data instead of overwriting the old ones. Additionally, you can provide a name for the attribute holding the filesystem location in the shapefile to be created. As soon as you created the Tile Index and loaded it into your project, you can see a polygon for each of the raster datasets that you indexed. For better visualization and overview, go to the layers style settings, disable the filling, and choose a contrasting color and increased width for the border. 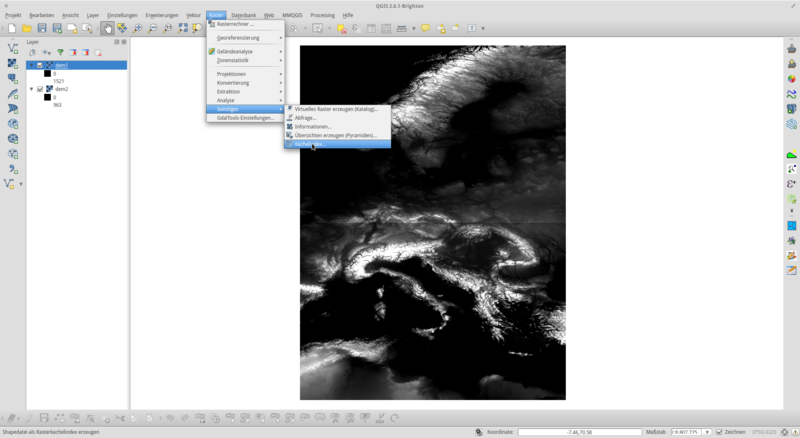 A tile index layer in QGIS. The red lines mark the border of the raster datasets. Finished Tile Index in QGIS. Red lines mark the dataset borders, labels indicate dataset filename and path on the filesystem.